Form is Emptiness. Part III: Commentary continued. Previously: In Part I, we explored the language of the passage associated with the phrase "form is emptiness, emptiness is only form". We identified the authoritative versions of the passage, in Sanskrit and Chinese, in the Heart Sutra and the source of the quotation, the Pañcaviṃśatisāhasrikā-prajñāpāramitā-sūtra. In Part II, we glossed over the existing commentaries, discarding them largely because they treat the Heart Sutra as a tabula rasa on which can be asserted various sectarians versions of Buddhism. We then began to explore passages from the Aṣṭasahāsrikā-prajñāpāramitā-sūtra (Aṣṭa) to see what they might tell us about the phrase "form is emptiness, emptiness only form" from the Heart Sutra. The method is productive of interesting commentary on the passage, but we had not found an exact parallel. In Part III we begin to dig deeper. So far, we've been looking for a statement along the lines of "rūpaṃ śūnyatā", which would be the obvious ancestor of the line from the Heart Sutra. So far, the approach has been productive, but we haven't really hit the mother lode. But what if, in being transmitted, the text was changed in an unexpected way? What if, for example, a key word was changed? Is this plausible? "If the Bhagavan were asked, 'Can the man of illusions (māyā-puruṣa) train in omniscience (sarvajñā), will he come near it, will he go forth to it?' How would the Bhagavan explain the answer to this question?" "What do you think Subhūti: is illusion (māyā) different from form? Different from sensation, apperception, or volition? Is illusion different from cognition?" "It is not the case, Bhagavan, that illusion is different from form. Bhagavan, the illusion is form; form is only an illusion. It is not the case, Bhagavan, that illusion is different from sensation, from apperception, from volition. The illusion is only sensation, apperception and volition, and sensation, apperception and volition are only illusions. It is not, Bhagavan that illusion is different from cognition. The illusion is cognition; cognition is only an illusion." What the Buddha is saying here is that illusions (things the unenlightened take to be real) are not found outside the five branches of experience (pañcaskandhāḥ) but, in fact, that the five branches of experience are the illusion. At least to the unenlightened, experience is an illusion that we buy into. This is a useful observation. In Aṣṭa it is part of a discussion between the Buddha and Subhūti, but in Pañcaviṃśati the protagonists are the Buddha and Śāriputra, and in the Heart Sutra they are Avalokiteśvara and Śāriputra. There are some minor spelling differences caused by sandhi, and by the use of pronouns in Aṣṭa, but neither the words nor the grammar is changed by this. Aṣṭa only has three phrases, to Pañcaviṃśati's four, leaving off an equivalent of nānyad rūpam anyā śūnyatā. Otherwise, the two passages are more or less the same. Too similar for this to be a coincidence. The Aṣṭa passage has to be the source of the passage in Pañcaviṃśati that became the famous line in the Heart Sutra, but with reference to illusion rather than emptiness. Unfortunately, I have not been able to locate this passage in the Gāndhārī manuscript published by Falk & Karashima (2012). However, we can find a probable counterpart to this passage in the Ratnaguṇasaṃcayagāthā (Rgs). His practice is the highest perfection of understanding. The Relation Between rūpa and māyā. The phrase in Aṣṭa, with "illusion", makes sense in both directions with māyā: "the illusion is form; form is only an illusion." Or "form is an illusion, which is the illusion of form." Indeed, this is fairly standard Buddhist rhetoric about the nature of experience, which seeks to undermine our fascination (or intoxication) with sense experience and encourages us to do the practices which enable us to detach (sober up) from it (especially the vimokṣa practices found in MN 121 & 122). An illusion, a dew drop, a bubble, a dream, a lightening flash, a cloud. Evameva kho, bhikkhave, yaṃ kiñci rūpaṃ atītānāgatapaccuppannaṃ [ajjhattaṃ vā bahiddhā vā, oḷārikaṃ vā sukhumaṃ vā, hīnaṃ vā paṇītaṃ vā], yaṃ dūre santike vā taṃ bhikkhu passati nijjhāyati yoniso upaparikkhati. Tassa taṃ passato nijjhāyato yoniso upaparikkhato rittakaññeva khāyati, tucchakaññeva khāyati, asārakaññeva khāyati. Kiñhi siyā, bhikkhave, rūpe sāro? Just so, Bhikkhus, a bhikkhu sees some form, past, future or present, internal or external, gross or subtle, inferior or superior, faraway or right here, he studies it, investigates its origins... and it appears to him unreal (rittaka), empty (tucchaka), without substance (asāraka). After all, what substance (sāra) is there in form? The word sāra here might also be translated by 'essence', a metaphor drawn from the heartwood of a tree. In the passage below a plantain tree lacks any wood, let alone heartwood. The point being that nothing real comes into being when we have an experience that can be designated 'form'. 'Form' is a label we apply to experience, even when we think we are applying it to the world. Pheṇa concludes with a verse similar to Vaj. Form is like a ball of foam, sensation like a bubble. Cognition is like an illusion. So the kinsman of the Sun taught. So there is some continuity of this idea from Mainstream Buddhism into the early Prajñāpāramitā texts (Aṣṭa, Rgs, and Vaj). Unfortunately, the replacement of māyā with śūnyatā in the comparison breaks the metaphor and the statement no longer makes sense. What makes the Aṣṭa version work is that māyā is another substantive noun (even though illusions are insubstantial). In rūpameva māyā we are comparing two substantives in a well known metaphoric relationship, based on an old simile. Anyone familiar with Buddhist literature is aware of the kinds of comparisons quoted above and can contextualise the statement to make sense of it. However, śūnyatā is an abstract noun from an adjective. In order for the apposition to really work we need something like rūpatā śūnyata 'formness is emptiness', but this still does [not?] make sense when we reverse it. So the substitution of śūnyatā for māyā leaves us with a mess of grammatical and exegetical problems. In short, it seems to have been a mistake. But is it plausible to say that an ancient editor introduced a mistake into a "sacred" Buddhist text, rendering it nonsensical? Before answering this question we need to follow the lead just discovered a little longer. The invocation of māyā leads us back to the Pañcaviṃśati, which reinforces the idea that we have discovered the origin of the "form is emptiness" passage. In a forthcoming article, I show that the passage known as "the epithets of the mantra" has two possible sources in Pañcaviṃśati that occur close together. One is far more likely to be the source, but the two are very similar in wording apart from the context. 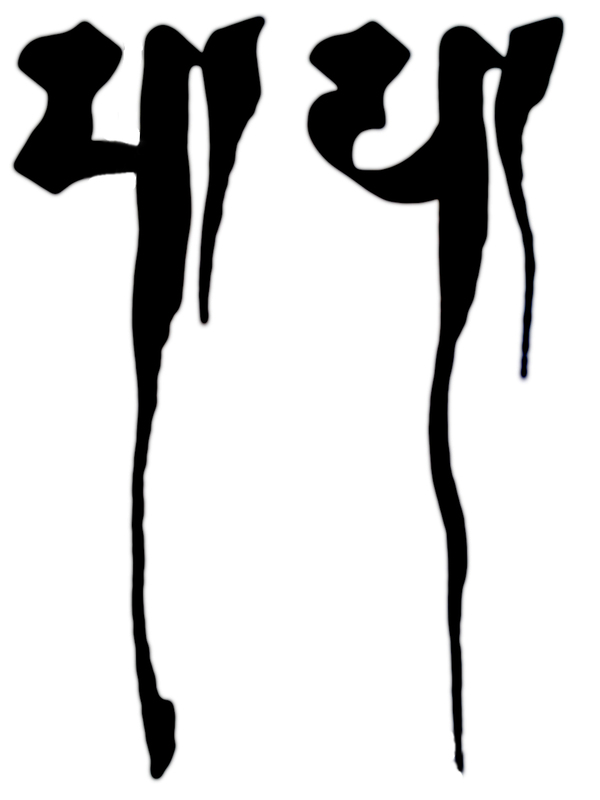 Nattier (1992) noted that in the epithets that the word vidyā had been translated into Chinese and then came out as mantra in the Sanskrit Heart Sutra. My article will examine this case in more detail. Alerted by the word māyā to look again at the Pañcaviṃśati I discovered that the "rūpam śunyatā" phrase also occurs twice. The other occurrence is at the beginning of Chapter Three. The form here is a dialogue between the Buddha and Śāriputra, and one of the main differences from Aṣṭa is that the answers are more long winded. Śāriputra asks how a bodhisatva ought to practice (caritavyam). In the Gilgit manuscript the Buddha begins his reply, iha śāradvatīputra (recall how uncertain the wording of this address was in Part 1). The fact that Śāriputra is the interlocutor here also brings us closer to the Heart Sutra. Importantly, the Buddha's reply is that the bodhisatva does not samanupaśyati 'perceive, observe, regard, consider' anything about themselves or what they are doing (which sounds a lot like śūnyatāvimokṣa). And they especially don't perceive/consider the skandhas. And why not? Because a bodhisatva is indeed empty of self-existence. It is not through being empty that form, sensation, apperception, volition and cognition are empty. Emptiness is not separate (anyatra†) from form. Emptiness is not separate from sensation, apperception, volition and cognition. Form is only emptiness. Sensation, apperception, volition and cognition are only emptiness. † Note here that anya (other, different) is replaced by the locative anyatra (elsewhere, elsewhen). What is the reason? Because this is a mere name; bodhi and bodhisatva are mere names which are emptiness. Form, sensation, apperception, volition and cognition are mere names. Because form, sensation, apperception, volition and cognition are like illusions (māyopama) and a mere name is not situated or located [anywhere]: non-existent, unreal, false, an illusory idea, self-existenceless, and without self-existence, non-arising, non-ceasing, not decreasing or growing, not defilement or purification. Although we can be fairly sure that the quotation from the Heart Sutra is taken from the passage a little further on, this passage may well have been influential. What this passage does, is tie us back to the Aṣṭa more clearly through the reference to the skandhas being mere names (nāmamātra) and like illusions (māyā-upama). The use of the locative adverbial pronoun, anyatra, means we read the text as saying that emptiness is not found outside of form in time or space. Emptiness, then, is a quality of experience, rather than a quality of reality. Or we might say that phenomena are characterised by emptiness and noumena remain unknown and (as far as Buddhists are concerned) unknowable. How, moreover, Bhagavan, should the bodhisatva mahāsatva practice with respect to perfection of wisdom. It then proceeds to describe how the bodhisatva should relate to the skandhas, in a passage that seems to resonate with the Pāḷi Cūlasuññatā Sutta. Thus, the opening of the Heart Sutra is probably not arbitrary, but also relates more generally to Chapter Three of Pañcaviṃśati, the main difference being that the abstract bodhisatva has been replaced by the archetypal bodhisatva Avalokiteśvara. An obvious next step is to compare this passage in Kumārajīva's T223, which I have not had the time to do yet. And this blog post is far too long already. We can also connect this with the skandha reflection practice in the Mahāsuññatā Sutta (MN 122) which shows how one pursues the experience of emptiness, while at the same time reflecting on experience. On final comment on this is that in Conze's translation of the Pañcaviṃśati he uses the subject divisions of the Abhisamayālaṅkāra which would have us believe that passage quoted in the Heart Sutra (1975: 61) is related somehow to the Four Noble Truths. The Heart Sutra passage covers the end of the second and beginning of the third truth. This seems to me to be a very unlikely reading of the text. Having established the connections we need to say a few words about the introduction of deleterious changes to Buddhist texts. Nāvidyā nāvidyākṣayo yāvan na jarāmaraṇam na jarāmaraṇa-kṣayo. No ignorance or end of ignorance... up to... no ageing and death, no end of ageing and death. No ignorance [as a condition for the arising of volitions]... up to no ageing and death [arising on the basis of birth as a condition]. No cutting off ageing and death [through the cessation of birth] down to no cutting off ignorance [and thus putting an end to this whole mass of suffering]. In fact, here the editor has gone one step further and also interpolated na vidyākṣayo as well. It's a bizarre intervention. It's difficult to explain. This particular manuscript has been very influential, especially in Japan. For example, this mistake is replicated at least twice in John Steven's book Sacred Calligraphy of the East (1995: 119, 120-1), and also in the modern Japanese Siddham script calligraphy manual, 梵字必携 (A Manual of Sanskrit Writing). Depending on when the changes happen and how often manuscripts get copied, such interventions can become the standard. In the first part of the long text Heart Sutra, the sentence in which Avalokiteśvara examines the skandhas and sees that they are empty of svabhāva ought to have two verbs: one meaning "examined" (vyavalokayati sma) and one meaning "saw" (paśyati sma). However, in the extant versions the verb paśyati sma has been replaced by a second vyavalokayati sma. This is clearly a simple error, but it must have occurred early on, because it infected all of the extant long texts, including those in Tibetan, and no copyist since has been honest or brave enough to correct it. Similarly, I've showed that the 100 Syllable Vajrasattva Mantra routinely transmitted by Tibetan lamas is garbled (Jayarava 2010). The garbled version occurs in every Tibetan source that I have consulted over many years, except the Kanjur (See Canonical Sources for the Vajrasatva Mantra). So we can say that bizarre interpolations in texts seem to be de rigueur, and mostly because some Buddhists didn't learn Sanskrit (at all or well enough), but a simple correction by someone who does know Sanskrit is almost always unwelcome because the text is "sacred" or because it would undermine the authority of the guru. Once a text has become nonsense, it seems to be resistant to being repaired, even when the repair is simple and obvious. So the idea of someone who did not fully understand the text changing the wording in an ad hoc way that did not take the context into account and resulted in non-sense, and this bizarre intervention being accepted as authentic and transmitted faithfully, is not at all far fetched. In fact, it happens all to often! We can point the finger at ancient Buddhists, but, in fact, the process continues. Conze's translations, for example, are full of bizarre interventions and his Sanskrit editions of grammatical errors. My first published article on the Heart Sutra (Attwood 2015) looks at a simple grammatical mistake that appears to have been overlooked by Conze, apparently because of his religious beliefs. I'm not quite sure why anyone else overlooked it, but in fact everyone did for over 60 years. A less technical (and non-paywalled) summary of this article is also available: Heart Murmurs. When someone we admire and believe to be wise says something incomprehensible, we are predisposed to assume that the statement is profound, too profound for us to understand. Dan Sperber (2010) has called this "The Guru Effect". Sperber was largely focussed on secular contexts, living as he does in the France of post-modern philosophy which turned nonsense into an art form, to wide acclaim. Conze and many other commentators take this approach with Prajñāpāramitā. Their attitude is that the nonsense is a feature not a bug. "Of course it is illogical," they say, "if it was logical anyone could understand it and it wouldn't be profound." This kind of aberrant thinking has prevented progress being made on understanding these texts for generations. A fairly standard Buddhist simile—experience is like an illusion—becomes a metaphor—experience is illusion—and then is given a seemingly deliberate, perhaps ideologically motivated, twist that makes it abstruse—experience is emptiness. The change left dozens of generations of Buddhists puzzling over what it could mean, caught in the "Guru Effect" trap of assuming that the text as presented was the most profound wisdom imaginable. Under these conditions, the apparent lack of logic and sense is used to undermine the reader (Conze does this quite openly). This is partly because the putative author of the Heart Sutra was the perfect Buddha, who by this time can do no wrong (I explored aspects of this change in the how Buddhists understood the nature of a Buddha in Attwood 2014). The Guru Effect means that we take what are simple mistakes, and construe them as inevitably failed attempts to communicate some higher Truth. The possibility of error is axiomatically ruled out. All that is left is the failure of the reader. And some readers can turn this to their advantage by claiming to understand the incomprehensible, often through their meditative experience. Unfortunately, meditation gives few insights into Sanskrit literary or grammatical traditions. There seems to have been a simultaneous valorisation and decontextualisation of the term śūnyatā in Mahāyāna circles. If we see Aṣṭa in the light of the Pāḷi Suññatā Suttas which focus on the vimokṣa meditations, especially the signless liberation (animitta-vimokṣa) and the emptiness liberation (śūnyatā-vimokṣa), we see a strong continuity of ideas. But in Pañcaviṃśati the continuity was broken or, at least, a good deal weaker. Śūnyatā was no longer an experience to be cultivated in meditation, but a kind of ontological absolute. The change from māyā to śūnyatā may have fitted with a developing Prajñāpāramitā ideology but, linguistically and philosophically, it was a disaster because the passage could no longer be parsed linguistically or logically. The change might have remained very obscure, except that the Pañcaviṃśati was almost as popular as the Aṣṭa and this line came to form part of the Heart Sutra, which gained popularity far outweighing its humble origins (which were also soon forgotten). Again, it might have remained an obscure Chinese magical text had someone, likely Xuánzàng, [not?] translated it into Sanskrit, called it a sūtra, and re-imported it to China as an authentic Sanskrit Buddhist text. Again, the context was forgotten and the Sanskrit version taken to be the ur-text. From there it took off. Generations of Buddhists, from quite early on, assumed that the obscure Chinese amulet was actually the Sanskrit essence of the superlative insights into "reality", the sarvajñā, prajñāpāramitā or mahājñāna. The fact that it was nonsense only made it seem more profound (via the Guru Effect). This left the text resistant to analysis, and each new generation of confused Buddhists went along with it for fear of being thought shallow and foolish. The willingness to submerge one's identity to the extent that one will agree to endorse something that is nonsense is a key aspect of belonging to a religious group. In modern times, the more Romantic one is, the easier this embracing of the illogical. To date, the world of academia has done little to dispel the pall of foolish piety that hangs over the Heart Sutra. Another surprising conclusion of this study is that "form is emptiness" is not, in fact, the be all and end all of the Heart Sutra, not the essence of the Prajñāpāramitā. The Aṣṭasāhasrikā-prajñāpāramitā makes clear that when one practices with concepts like "form is empty" in mind this is still an error. The śūnyatā-vimokṣa samādhi is free of such concepts. If we are looking for a key line in the Heart Sutra, I suggest that it is, in fact, sarvadharmāḥ śūnyatālakṣanāḥ 'all mental events are characterised by lack of self-existence'. This is the underlying reason that 'form' is like an illusion. It is this that opens up the discussion of what the text means and points to the profound insight that the Buddha had about the nature of experience. We really ought to talk more about śūnyatā as one of the trivimokṣa or 'three liberations', a state in which all verbal cognition shuts down and the experience is empty of all concepts (something of this is hinted at in my discussion of SN 45.11 and 45.12 from 2008: Communicating the Dharma). Śūnyatā-vimokṣa is a condition that can be attained temporarily in meditation and as a permanent condition is synonymous with bodhi. The Cūlasuññata Sutta (MN 121) explains to some extent how one approaches this in meditation. But this is another subject that I'll have to return to. The alternate passage in Pañcaviṃśati also sheds light on the construction of the opening passage of the Heart Sutra; at least in outline we now understand more why Avalokiteśvara makes an appearance and what he is doing. And perhaps helps to explain why Śāriputra is the interlocutor. Finally, I have tried to show that "error" has to be a possible state in any textual hermeneutic. When we read a text we have to be capable of seeing error as error. Buddhists and scholars of Buddhism are all to often blind to this possibility. The tendency, especially with respect to the Prajñāpāramitā, has been to take error as "paradox" or as being a consequence of the ineffability of Reality. Notable exceptions to this criticism are Paul Harrison and Richard H Jones whose work has helped me to see errors for what they are. The refusal to see clearly means that there has been little investigation of errors in Buddhist texts. Ironically, errors seem to have two main sources: unfamiliarity with our canonical languages, and deliberate alteration motivated by ideology. Sometimes both at once. Those of us who take study seriously eventually learn that the texts are not a true refuge. Having now written 21 essays on the text (this one is 12,000 words long) and with one published article and one in development, and having discovered a new Heart Sutra manuscript, I fancy I know a thing or two about the Heart Sutra. In the last five years I have certainly discovered things about the Heart Sutra that were previously unknown, but the main thing I've learned is that knowing it, even understanding it, is no substitute for a systematic approach to transformation. Śūnyatā is primarily an experience. On the other hand, while nonsense is a possible reading for any passage in my hermeneutic, we get nowhere by assuming that the message of our texts is intentionally illogical and thus impervious to analysis. There has to be a balance. For me, at least, the Heart Sutra will never be the same. Vajracchedikā-prajñāpāramitā from Harrison & Watanabe, as simplified on Bibliotecha Polyglota. Attwood, Jayarava (2014) Escaping the Inescapable: Changes in Buddhist Karma. Journal of Buddhist Ethics. 21: 503-535. Attwood, Jayarava (2015). Heart Murmurs: Some Problems with Conze’s Prajñāpāramitāhṛdaya. Journal of the Oxford Centre for Buddhist Studies. 8: 28-48. Conze Edward. (1975) The Large Sutra on Perfect Wisdom: with the Divisions of the Abhisamayālaṅkāra. University of California Press. Eckel, Malcolm David. (1987) Indian Commentaries on the Heart Sūtra: The Politics of Interpretation. The Journal of the International Association of Buddhist Studies. 10(2): 69-79. Falk, Harry & Karashima, Seishi. (2012) A first‐century Prajñāpāramitā manuscript from Gandhāra - parivarta 1 (Texts from the Split Collection 1). ARIRIAB XV, 19-61. Online: https://www.academia.edu/3561115/prajnaparamita-5. 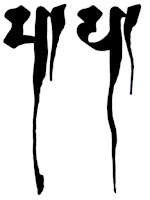 Jayarava (2010) The Hundred Syllable Vajrasattva Mantra. Western Buddhist Review. 5. Jones, Richard H. (2012) The Heart of Wisdom. Jackson Square Books. KIMURA Takayasu (2010). Pañcaviṃśatisāhasrikā Prajñāpāramitā. Vol. I-1, Tokyo: Sankibo Busshorin 2007. http://fiindolo.sub.uni-goettingen.de/gretil/1_sanskr/4_rellit/buddh/psp_1u.htm [Input by Klaus Wille, Göttingen, April 2010]. Lopez, Donald S. (1988) The Heart Sūtra Explained: Indian and Tibetan Commentaries. State University of New York Press. Lopez, Donald S. (1996) Elaborations on Emptiness: Uses of the Heart Sutra. Princeton University Press. Huifeng [aka Orsborn, M. B.] (2008) A Survey Of Prajñāpāramitā Sūtra Translations In Chinese. Online: http://prajnacara.blogspot.co.uk/2011/06/survey-of-prajnaparamita-sutra.html. Nattier, Jan (1992). 'The Heart Sūtra: a Chinese apocryphal text?' Journal of the International Association of Buddhist Studies. 15 (2) 153-223. Online: http://archiv.ub.uni-heidelberg.de/ojs/index.php/jiabs/article/view/8800/2707. Wayman, Alex. (1984) Buddhist Insight: Essays. Motilal Banarsidass. Yuyama, Akira. (1976) Prajñā-pāramitā-ratna-guṇa-saṃcaya-gāthā (Sanskrit Recension A). Cambridge University Press. Zacchetti, Stefano. (2005) In Praise of the Light: A Critical Synoptic Edition with an Annotated Translation of Chapters 1-3 of Dharmarakṣa's Guang zan jing, Being the Earliest Chinese Translation of the Larger Prajñāpāramitā, Tokyo. (Bibliotheca Philologica et Philosophica Buddhica, 8). IRIAB. Sanskrit text also available from Gretil. Numbers in square brackets are pages in Vaidya's Edition. Gligit ms. folio 17 recto - 17 verso. We have, available in translation, two very early Chinese commentaries by Xuánzàng's top students Kuījī 窺基 (Shih & Lusthaus 2006) and Woncheuk 원측 (Hyun Choo 2006). These date from the 7th century, close to the composition of the text, with a strong suggestion that Woncheuk had a Sanskrit text to consult. (Lusthaus 2003). Kūkai's commentary from the early 9th century is perhaps the first Tantric commentary, and gives us insights into Kūkai's thought (Hakeda 1972). We also have eight Indian commentaries from the 8th-12th centuries preserved in Tibetan, translated and studied by Donald Lopez (1988, 1996). However, as almost every scholar who has ever studied these commentaries has complained, they are resolutely sectarian. The traditional commentaries are, in short, a major disappointment. The Chinese commentaries, for example, are couched in thick and impenetrable Yogācāra jargon. Without their own commentary, the commentaries don't really make sense. The language of the translations in both cases is classic Buddhist Hybrid English, but worse, Kuījī constantly contradicts himself, alternating between telling us that dharmas exist and do not exist, perhaps as a result of a commitment to the Two Truths. It means that his argument on this passage is, on face value, incoherent. The Indian commentaries preserved in Tibetan have much the same problems, though looking at the Heart Sutra from different sectarian points of view. None take the text as their starting point. All take their belief system as a starting point and try to shoehorn the Heart Sutra into it. In other words, no commentator is trying to explain the text; they are using the text as a cipher to expound their existing views. Which means that, though they might be interesting historical documents in their own right, they are next to useless in the quest to understand the text on its own terms. Unfortunately, all the remarks that apply to traditional commentaries can also be applied to modern ones -- with one exception that I am aware of, which is in Jones (2012). Jones is a relative outsider in that he does not seem to hold either an academic or ecclesiastical post, but he does have appropriate qualifications and is well versed in Prajñāpāramitā and Madhyamaka literature. And although his approach to translating the Heart Sutra is a sectarian one (based, I think, on the Yogācāra inspired exposition of Alex Wayman, though he neglects to say), in his book of Prajñāpāramitā translations there is a short essay on just the passage we are considering (2012: 224-226). Jones initially expresses considerable misgivings about "form is emptiness, emptiness only form". "In fact," he says, "the claim is odd." The first problem is that the text appears to make śūnyatā into "an ontological source of some kind... rather than simply the absence of self-existence." Jones cites Thích Nhất Hạnh as a populariser of this view when he says: "form is the wave, and emptiness is the water". But this is completely out of keeping with Prajñāpāramitā and with Madhyamaka thinking about śūnyatā. There is nothing that emptiness "is" because conceptually and semantically it denotes an absence! If in Nhất Hạnh's metaphor emptiness is the water, then it is a presence of something from which waves are made, not the absence that helps us to see the wave is insubstantial. A related problem is that form is, in the Two Truths view, ultimately "unreal" whereas śūnyatā is not. I take issue with Jones here on the basis of Kātyāyana: real and unreal are not qualities that can be imputed to experience. What he means, I think, is that dharmas arise and pass away, whereas śūnyatā is always the characteristic of all dharmas. Form is contingent, but all forms lack svabhāva. To try to equate the two, as the Heart Sutra seems to, is to make a category error. My own view is that equating a substantive (rūpa) with an abstract (śūnyatā) is as best linguistically awkward, at worst nonsense. Jones briefly notes the alternate reading in some sources, i.e., "form is empty" (rupam śūnyam). Which is fine until we try to turn it around and discover that nouns and adjectives play different roles in language and can't be interchanged. The irony here, as we will see below, is that in a sutra largely devoted to negations, this positive assertion is the most problematic passage in the text. However by the end of his short treatise, Jones seems to have convinced himself that the passage does make sense. Thus Jones manages to convince himself, through invoking "a Gestalt-like shift", that the text that seemed so problematic to begin with in fact confirms his understanding of Perfection of Wisdom according to Nāgārjuna. The problems in Buddhist texts have to be rationalised and normalised. When one's hermeneutic disallows nonsense, then finding it, one will simply re-interpret it as a new kind of sense that requires a special counter-intuitive perspective. At least Jones does not look down on his audience for their not having that special perspective, in the way that Conze did. My approach is different. In my hermeneutic, "nonsense" is not just a possible reading, it is expected. Reading a text as trying to express something about experience is a productive approach, but it cannot solve all the problems encountered, precisely because the author was frequently trying to make an ontological point. All ontologies that are based on the raw phenomenology of experience hold the possibility of error, of confusion, and of nonsense. Nonsense is a likely outcome when generalising about reality from individual experience. And this is not simply my opinion. The early Buddhists knew this, at least in principle, when they spelled out the kinds of wrong views that one could come to by generalising on the basis of recollecting one's former lives through psychic powers developed in the fourth jhāna, see the Brahmajāla Sutta (DN 1; i.12-16).Thus, we can expect to find nonsense as Buddhists embrace speculations about ontology and, by the time of the Heart Sutra, this embrace was already locked in. Thus primed, we can now move on to considering what the Aṣṭa can tell us about the Heart Sutra. The first thing to say by way of commentary is that remarks about form (rūpa) and emptiness apply just as much to the other skandhas, individually and collectively. We usually give extra weight to form because it is used as the example for this analysis, but this skews the view. Yes, form is empty of svabhāva, but so are sensation (vedanā), apperception (saṃjñā), volition (saṃskāra) and cognition (vijñāna); or all five together, since they only ever operate collectively. We could just as well conduct the whole discussion in terms of vedanā or saṃjñā. And that would give the discussion a very different feel, because the temptation to make an ontology out of vedanā or saṃjñā must be considerably less. If anything, such a discussion would tend to Idealism. So any conclusions we come to must be applicable to the entire apparatus of experience, not just to the locus or object of experience (rūpa). Another preliminary comment is that talk of śūnyatā is, at least in part, an invocation of the three liberations (P. vimokkha) the signless (animitta); desireless (apaṇihita) and emptiness (suññatā). These refer to profound states of absorption in which sense experience does not impinge on the mind at all. It's entirely possible that some of these passages in the Prajñāpāramitā, in which the bodhisatva 'grasps at nothing', etc., relate to śūnyatā-vimokṣa. Compare the two suññatā suttas (MN 121, 122) and the Mahāvedalla Sutta (MN 43). More on these at a later date. The highlighted sentence takes the form: rūpam eva virahitaṃ rūpasvabhāvena. This is fairly standard Buddhist metaphysics, and quite similar to the kind of argument we see in the Vajracchedikā-prajñāpāramitā also (See The use of Negation in Vajracchedikā). Although we experience form, or experience ourselves as having form, there is no self-existent form. "Form" arises because sense object meets sense faculty in the presence of sense cognition, because the apparatus of experience is functioning. There is no 'essence of form' to give being to form. This places a strict limit on epistemology, on what we can know. Knowing the dependently arisen form does not give us knowledge of the object, only the experience. From a modern perspective this is too restrictive (I'll discuss this in a forthcoming essay), but for now we need to accept that early Mainstream Buddhists accepted this limit on knowledge and seem to have passed it on to some early Mahāyāna Buddhists. Additionally, as per Nāgārjuna's argument, if a form were to be endowed with self-existent form, then that form would either never exist, or always exist. Because experience is constantly arising and passing away, we know that it cannot have svabhāva in the sense of self-existence. (See also Emptiness for Beginners) Which also ties into the rejection of the terms "existence" and "non-existence" in discussing experience. And this is what we take "form is emptiness" to mean, though why the abstract noun śūnyatā is used in the Heart Sutra is, as I say, unclear. We surmise that the problem that passages like this are addressing is the incipient Realism of the Abhidharma project. It used to be thought that this kind of language was a direct dig at the Sarvāstivādins. In fact, it seems to be a generalised critique with nothing specific to the Sarvāstivāda. The authors of the Abhidharma started out using the word svabhāba to mean something like a characteristic quality. At first it defined categories into which dharmas could be slotted. Gradually, the dharmas themselves came to be seen as having these qualities. And, before long, the defining characteristic took on a separate life, that did not arise and pass away. The early Prajñāpāramitā texts were, in part, a general critique of this kind of erroneous thinking. So this first passage from Aṣṭa critiques Realism with respect to dharmas. But what we are ideally looking for is a discussion of the emptiness of dharmas. The second passage which sheds light is the only part of Chapter One that uses the word śūnya. Furthermore, Elder Subhūti, having begun [describing? ], the bodhisatva mahāsatva thus said: if he practises with respect to form, he practices with respect to a sign (nimitta). If he practises with respect to an external characteristic of form, he practices with respect to a sign. If he practises with respect to ‘this is a feature of form’, he practices with respect to a sign. If he practises with respect to the arising of form, he practices with respect to a sign. If he practises with respect to the cessation of form, he practices with respect to a sign. If he practises with respect to the destruction of form, he practices with respect to a sign. 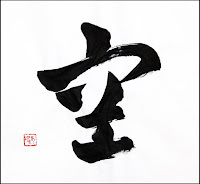 If he practises with respect to ‘form is empty’, he practices with respect to a sign. If he practises with respect to ‘I am practising’, he practices with respect to a sign. If he practises with respect to ‘I am a bodhisatva’, he practices with respect to a sign. Just perceiving ‘I am a bodhisatva’ he practices. Thus with respect to sensation, designation, volitions. If he practises with respect to ‘form is empty’, he practices with respect to a sign. The part in quotes is our familiar line rūpaṃ śūnyam 'form is empty'. In the Pañcaviṃśati and, therefore, in the Heart Sutra, the statement has become decontextualised and abstracted: śūnyatā is an abstract noun from śūnya as 'emptiness' is an abstraction from 'empty'. Aṣṭa is saying that if one practices with the idea that 'form is empty', then one is still getting it wrong, because one is still practising with respect to sense experience. And yet, this is a common interpretation. Buddhists go around quoting "form is emptiness" as though it is profound, as though it is the whole point, when Aṣṭa more or less says that it is a delusion. And this is so because, as the first passage says, form is free of self-existent form. Now, as we know, liberation (temporary or permanent) is signless (animitta). And this description of the bodhisatva's practice reads very like descriptions of the experience of vimokṣa described in the Pāli suññata suttas (MN 121,122). I just want to flag up this connection and will explore it in another essay. The important point here seems to be that the bodhisatva must not identify with the world of experience. And this is where we might think of the bodhisatva as in the state of śūnyatāvimokṣa, in which the world of experience has effectively ceased. In the terminology of the Spiral Path they become fed up (nibbidā) with sense experience and lose their fascination with it (virāga) and are thus liberated from saṃsāra (vimukti), which, in turn produces, the knowledge that they are liberated (vimuktijñāṇa). It is the last that is communicated to disciples in order to cause the arising of faith in the Tathāgata. Note that Aṣṭa says "all dharmas are in a state of emptiness" (śūnyatāgatikā sarvadharmāḥ) which echoes the Heart Sutra's phrase "all dharmas are characterised by emptiness" (sarvadharmāḥ śūnyatālakṣanāḥ). So far, this is all pretty standard Prajñāpāramitā, even if the emphasis is somewhat different from the usual Heart Sutra commentary. The Aṣṭa has interesting things to say about the Heart Sutra, particularly that practising with respect to "form is empty" is still not what the bodhisatva does. This is still a concept and the bodhisatva, perhaps in the meditative state known as śūnyatā-vimokṣa, does not pay attention to any such concepts. To emphasise this phrase is not necessarily the same as being wise. Next week, however, we will be going off piste. It turns out that the phrase that everyone knows and loves was significantly altered when it moved from Aṣṭa to Pañcaviṃśati. The version of the phrase in Aṣṭa opens up a whole new vista for thinking about the Heart Sutra and what it might mean. Hakeda, Yoshito (1972). The Secret Key to the Heart Sutra in Kūkai: Major Works. Columbia University Press. Lusthaus, Dan. (2003) The Heart Sūtra in Chinese Yogācāra: Some Comparative Comments on the Heart Sūtra Commentaries of Wŏnch’ŭk and K’uei-chi. International Journal of Buddhist Thought & Culture. September, Vol. 3: 59-103. Although I don't cite it directly, the material on śūnyatāvimokṣa is inspired by an essay privately circulated by my colleague Satyadhāna. It popped up rather late in the process of constructing this essay (which is already about 12,000 words long over three parts). I'm hoping it might be made more widely available, because it seems to me to provide further keys for understanding the early Perfection of Wisdom. I plan to survey the relevant Pāḷi texts and their Chinese counterparts as soon as is practical. My sense is that there is considerable continuity between them and Aṣṭa. I was trying to have a discussion with someone about the Heart Sutra and it became apparent that as far as they were concerned the Sutra consisted only of the phrase "form is emptiness". I realised that I've avoided saying much about this part of the text. It's the part that most people are focussed on, though to me there are other more interesting facets of the content of the text, not least of which is its fascinating history. It seemed that the time had come for me to overcome my reluctance and to tackle this enigmatic passage and see what I can make of it. This is as much a methodological problem as it is an exegetic challenge. I feel no obligation to take the tradition on its own terms, therefore, I don't feel bound to do what most Buddhist commentators do, which is to reproduce what has been said before whether it makes sense or not. In fact, in the case of the Heart Sutra, this typically Buddhist procedure is particularly unsatisfactory, partly because the text itself is problematic in ways that previous Buddhist commentators have, almost without exception, failed to notice, and partly because what has been traditionally said is more related to sectarian views than to the text itself and, finally, because what is said very often does not make sense. I want to try to avoid the "Guru Effect", the assumption that because we fail to understand what an intellectual says, it must be profound (Sperber 2010). It seems clear to me that Buddhism suffers from this to a high degree, especially when it comes to Prajñāpāramitā texts. A great deal of obscurantist nonsense has been written about the Heart Sutra. Despite the fact that the passage in question is short, just 16 characters in Chinese, the methods I adopt in working with this text require many steps and the method itself is (I hope) of as much interest as the outcome. Weakness in method plagues commentaries on the Heart Sutra. For example, commentators were prevented from seeing the simple grammatical error outlined in my JOCBS article Heart Murmurs (2015). They failed to parse the sentence properly. As popular as this text is, it seems to suffer from neglect born of complacency. If one person overlooks a grammatical error one time, that is one thing. When every highly trained scholar and passionate Buddhist overlooked it for a period of 60 years during which time the text received daily attention, then we have reason to distrust the whole enterprise. My approach means that the essay is long by necessity. Part I deals with the text and its variations. Part II considers the traditional commentaries and begins to explore the Aṣṭasāhasrikā as a commentary on the Heart Sutra. Part III presents a radical new approach to understanding the text by showing that the relevant quote was changed in the Larger Prajñāpāramitā text. Eventually, this material will be incorporated into my book on the Heart Sutra. At the outset I assume that the Heart Sutra is a Prajñāpāramitā text, not a Madhyamaka, Yogācāra, or Tathāgatagarbha, or Tantric text. Those other points of view are, at best, secondary to the task of understanding the Heart Sutra. This passage, like much of the text is a quotation from the Pañcaviṃśatisāhasrikā-prajñāpāramitā-sūtra. So, although it spoke to the 7th century Chinese monk who copied some lines from the Pañcaviṃśati and framed them, thereby creating the Heart Sutra, and although these words have appealed to the various sectarian audiences over time (including the present), the words of the Heart Sutra ought first and foremost to be understood as an expression of Prajñāpāramitā thought from the early first millennium CE in North-West India. An approach that, to my knowledge, has never been tried. I also assume that the Buddhists who wrote the early Prajñāpāramitā texts were still working within the domain of experience and were opposed to ontological speculation. Thus I see a continuity between these "Mahāyāna" texts and early Buddhist texts like the Kaccanagotta Sutta and the Sabba Sutta, which emphasise that the domain of application of Buddhist ideas is human experience. I find that this assumption is productive of more interesting and coherent readings of these apparently enigmatic texts. The first step is to establish the text. This is particularly difficult with the Heart Sutra because the various Sanskrit editions contain errors, the manuscript/epigraphical tradition is rife with errors, the extant Chinese versions are different from each other and from the Sanskrit. Establishing the text in this case also involves comparison with relevant passages in the extant texts Pañcaviṃśati (in our case through both editions and manuscripts). A further difficulty is that all of these texts continued to grow in India, so that each subsequent Chinese translation is longer than the previous ones. Deciding which of the many versions is authoritative is reduced to a more or less arbitrary decision. Having decided which text we are commenting on, we can begin to try to understand it. In order to do this I will, in Part II, turn initially to the traditional commentaries from India, China and Japan. However, these offer very little insight into the text because, as already stated, they are simply sectarian monologues treating the Heart Sutra as a tabula rasa for other ideas. And this is not the same as commenting on the text. So, instead of relying on traditional sectarian commentaries, I will make a methodological leap and employ the Aṣṭasāhasrikā-prajñāpāramitā-sūtra as a commentary. Aṣṭa is the source text of the Prajñāpāramitā tradition and thus what it says on the subject ought to be both authentic and authoritative (taking into account that Aṣṭa itself is something of a moveable feast that changes over time). This approach poses a challenge to the idea that the Heart Sutra conveys the essence of Prajñāpāramitā. I raise the possibility that the flip side of "form is emptiness" might simply be a hyper-correction by an over-zealous early editor. Finally, I reflect on some implications of this study, and my hermeneutic approach generally, for practising Buddhists. As usual, all translations are my own, unless otherwise specified. I hope a fresh approach to reading this all too familiar text will produce a new appreciation for the Heart Sutra and reinvigorate interest in the kind of practice it represents. Although many manuscripts, including Ja which is the oldest extant manuscript, add yad rūpaṃ sā śūnyatāyā śūnyatā tad rūpaṃ, we have reason to believe, from comparison with the Chinese canonical texts and Pañcaviṃśati that this phrase was added sometime later (see also Nattier 1992: 201, n.5a; 204 n.19). Conze decided to include the phrase in his critical edition, but does not discuss the reasons. Only a minority of manuscripts address this passage to Śāriputra, which leaves us in some doubt about whether to include iha śāriputra at this point. The Chinese texts both include an equivalent phrase and each Pañcaviṃśati witness has some form of address to Śāriputra. So it was probably meant to be there, but the form of the address varies significantly. I won't translate for now, but even with understanding we can see that they use much the same characters with minor variations (非 and 不 are both negating characters with slight different functions; 是 = 'is', verb 'to be'; 色= rūpa; 空 = śūnyatā). We understand that these are quotations from Kumārajīva's translation of the Pañcaviṃśati, T223, and a direct comparison shows that T251 is almost identical with T223, except for how the name Śāriputra is written. However, Huifeng (2008) points out that the Taishō edition footnotes record that in the earlier Sòng, Yuán, Míng and Gōng editions of the Tripiṭaka, T223 reads 非色異空，非空異色 for 色不異空、空不異色. (See also Variations in the Heart Sutra in Chinese). So, in fact, we can read T250 and T223 as being identical at this point, making T251 the odd one out. Nattier's thesis additionally floats the possibility that T250 might have been edited to conform to T1509,《大智度論》Dàzhìdùlùn (*Mahāprajñāpāramitopadeśa? ), a commentary on Pañcaviṃśati incorporating the text and attributed to Nāgārjuna, also translated by Kumārajīva in the early 5th century. Or that the text was originally taken directly from T1509 and T251 has been edited to conform to Xuánzàng's style in T220-ii 《大般若波羅蜜多經》(Vol. 7, Fasc. 401-478). This runs counter to the usual procedure of those who comment on the Heart Sutra, which almost always privileges the version attributed to Xuánzàng, i.e., T251. In my view, neither T250 nor T251 can be the ur-text or the source text for the Sanskrit translation. There are just too many discrepancies between the Chinese and the Sanskrit. Thus, some work is required to establish an ur-text in Chinese through a detailed comparison of T250, T251, T223, T1509, and the Sanskrit text, along with comparisons with other translations by Kumārajīva to locate all the parallels. Now we turn our attention to the next important reference point, the Sanskrit precursors. There are two modern editions of the Sanskrit Pañcaviṃśati, Dutt (1934) and Kimura (2010), though the latter is apparently a revision of the former based on the same Sanskrit manuscript. The Gilgit manuscript has been published in facsimile, but not yet edited or transliterated, except in part by Stefano Zacchetti (fols. 1-27) and Yoke Meei Choong (fols. 202-205). A small extract with just the Heart Sutra material is also found in Nattier (1992: 161-3) and Tanahashi (2014: 205-6) and all three are slightly different! Tanahashi cites the initial transcription by Greg Schopen revised by Paul Harrison for the book, but gives no publication details. Nattier (204, n.15) credits her transcription to Schopen (unpublished), so presumably this is also the source for Tanahashi. Nattier's text is an uncorrected transcription with notes (1992: 204-5, n.s 15-26) recording some scribal errors and variants; Zacchetti's edition has corrected scribal errors and the online version does not include any notes; whereas Tanahashi has included scribal errors with comments linearly in curly brackets in his text, and eschews any notes. The Gilgit manuscript is dated to the 6th century and seems to be very like Kumārajīva's T223 and must correspond closely to the Sanskrit text he translated. Thus we would have a strong preference for using the Gilgit manuscript over the later versions in this study. Fortunately, the passage concerned is in the Zacchetti extract. There are minor differences here, the most obvious being that Śāriputra is addressed as Śāradvatīputra. This seems to be based on a tradition that his mother was called Śāradvatī. In the Pāḷi tradition, Sāriputta's mother's name is Rūpasārī. Other variations on his name in Sanskrit texts include Sāriputra, Sāliputra, Sārisuta, Sāradvatīputra, Sārisambhava. The confusion of r/l is a dialectical variation. Other variations could be artefacts of the translation of oral texts from Prakrit to Sanskrit. (See,also Nattier 1992: 204, n.16). Most of the other differences, especially at the beginning, are the result of sandhi: na anyā > nānyā; śāradvatīputra anyad > śāradvatīputrānyad. na hi śariputra anyad rūpam anyā śūnyatā nānyā śūnyatā anyad rūpaṃ rūpam eva śūnyatā śūnyataiva rūpam. Although the name Śāriputra is invoked at this point, it does not help to clarify in what way. Neither version uses the iha 'here' idiom, but both use the particle hi 'for' to make it clear that what follows relates to what has just been said. So, if the particles were not missing entirely in Chinese, we could say that iha was a back translation for hi. Since the way Śāriputra's name is invoked is at best secondary to the problem of understanding the passage, we'll leave it off for the purposes of comparison. Form is not one thing and emptiness another (anyad). Emptiness is not one thing, and form another. It is not the case that form is different from emptiness. It is not the case that emptiness is different from form. Form is not different from (pṛthak) emptiness. We might also have looked at the short texts in Tibetan discovered at Dunhuang, but my ability to analyse Tibetan is very limited. Nattier mentions a preliminary study that has not been completed, though see notes in Attwood (2015: 39-40). It seems likely that the Dunhuang Tibetan short text is a translation from the Chinese. The Chinese texts, by contrast, are all more or less identical with T250. Note also that semantically there is no distinction in Sanskrit between saying nānyad rūpam anyā śūnyatā and saying rūpam eva śūnyatā. On one hand, we are saying that form and emptiness are not different, and on the other we are saying that they are the same. It amounts to the same thing. Rather than adding anything new, we can see the second statement as emphasising the statement, with redundancy typical of Buddhist texts. Although Buddhist exegetes often see this kind of repetitious reinforcement as an opportunity to add more comments, this is unnecessary. The simplest way to account for the texts as we find them is Nattier's Chinese Origins hypothesis: a text reading nānyad rūpam anyā śūnyatā, was transmitted to China where it was translated (T223) as 非色異空 and then this Chinese phrase was quoted in the Chinese Heart Sutra. When the Heart Sutra was translated back into Sanskrit it became rūpān na pṛthak śūnyatā. In other essays on the Heart Sutra I have observed that other features of the text suggest that the person who translated the text from Chinese into Sanskrit was a native Chinese speaker and unfamiliar with the Sanskrit conventions of the Prajñāpāramitā literature, and thus chose unconventional Sanskrit phrasing in several places. Another difference is the inversion of the two halves of the passage in Sanskrit Hṛdaya, despite the agreement of Pañcaviṃśati and the Chinese Hṛdaya (both versions). Since the Chinese Heart Sutra has these the right way around, the change seems to have occurred in the translation back into Sanskrit. But there's no way to tell why. Some Sanskrit manuscripts and all of the Indian commentaries preserved in Tibetan (Lopez 1996: 5, n.2) have rūpaṃ śūnyaṃ rather than rūpaṃ śūnyatā, which may be a scribal error or related to the fact that śūnya and śūnyatā are both indicated by 空 in Chinese. Comparison with the Sanskrit Pañcaviṃśati shows that śūnyatā was intended. This is the kind of process that one must carry out to work seriously with the Heart Sutra, a process one does not find in modern translations and commentaries. An initial grasp of the history of the text allows us to locate the relevant information and to see that our text undergoes a series of changes over time. Indeed, how we see the text depends on what our reference point in time is. All previous commentators, except for Jan Nattier, have simply taken the textual tradition on face value. The Sanskrit version is the one reconstructed by Conze, the official Chinese one is T251 (attributed to Xuánzàng), and the Pañcaviṃśatisāharikā-prajñāpāramitā-sūtra is largely ignored, even when it is cited. A partial exception is the recent guide to the Heart Sutra by Kazuaki Tanahashi (2014). This is by far the best of the modern, Zen inspired, commentaries, but is still weak on Sanskrit semantics, grammar and morphology. Tanahashi does at least give lip service to the role of the earlier Sanskrit Prajñāpāramitā tradition, but he does not allow it to have any authority in understanding the text, whereas I argue that one cannot study the text without giving due attention to the Pañcaviṃśati in both Sanskrit and Chinese. Tanahashi also overloads his book with irrelevant versions in multiple languages drowning out important information with trivia. He is resistant to some of Nattier's revisions of the attribution and dating of the Chinese versions, insisting that T250 is the ur-text, "the α version", when plainly it cannot be. At least, it is not the version from which the Sanskrit text was translated. The history of this text makes establishing the text to be commented on a complex task. When we take everything into account, it introduces a note of ambiguity into the proceedings, and not the kind that Buddhists like. What it does is undermine the idea that any one text is the authentic Heart Sutra. It's likely that from now on we'll always have to work with multiple versions: a reconstructed first Sanskrit translation, now partially obscured by the copying tradition, which introduces a number of changes and errors at different times and places; a first Chinese version, now lost and as yet unreconstructed (largely because of resistance to Nattier's thesis); a series of precursor texts in Chinese (particularly T223/T1509, T387, and T410) that are translations of Sanskrit texts, most of which have extant versions; and, in the case of the 25,000 line Prajñāpāramitā, the 8,000 line text that predates and underlies it. On top of this is the fact that all the Prajñāpāramitā texts continued to evolve over time, independently and as different rates. So how we understand the Heart Sutra depends, in large part, on our reference point. All existing commentaries also take an external reference point, usually in the form of a sectarian ideology. Buddhists often tell me that they feel they can approach the essential meaning of a text by reading multiple translations. Except that, in this case, all of the translators are repeating the same mistakes and none of them is showing enough of their working for a naive reader to see what those mistakes are. For example, as far as the popular translations and commentaries of the Sanskrit text are concerned it's clear that none is a reliable guide to the text, and none is sufficiently well versed in the early Prajñāpāramitā to put the text into its context. The Chinese text is better understood, since many of the commentators are at least competent in modern Chinese, but it gets slotted into the context that suits the ideology of the translator. The implications of Nattier's landmark 1992 article have yet to be fully appreciated. The article is long and complex, with a great deal of information tucked away in the many and voluminous footnotes. Having established the text that we aim to study, in Part II we will briefly turn to the traditional commentaries, before attempting another approach, using the Aṣṭasāhasrikā as a commentary.